Troppo Architects took home the Northern Territory’s top award - the Tracy Memorial Award, adding it to the Australian Institute of Architects’ Gold Medal, which they won early this year. 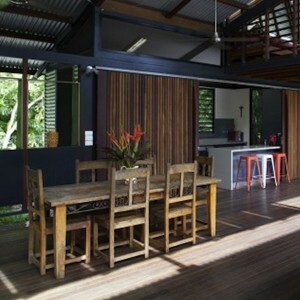 The studio also received the Territory’s COLORBOND® Award for Steel Architecture, the Enduring Architecture Award, and the award for Residential Alterations & Additions. Other winners included Mode Design and Dunn & Hillam Architects, who each took home one award and one commendation. Neeson Murcutt Architects were also acknowledged with a Small Projects Award just a day after performing well at the New South Wales Awards ceremony.